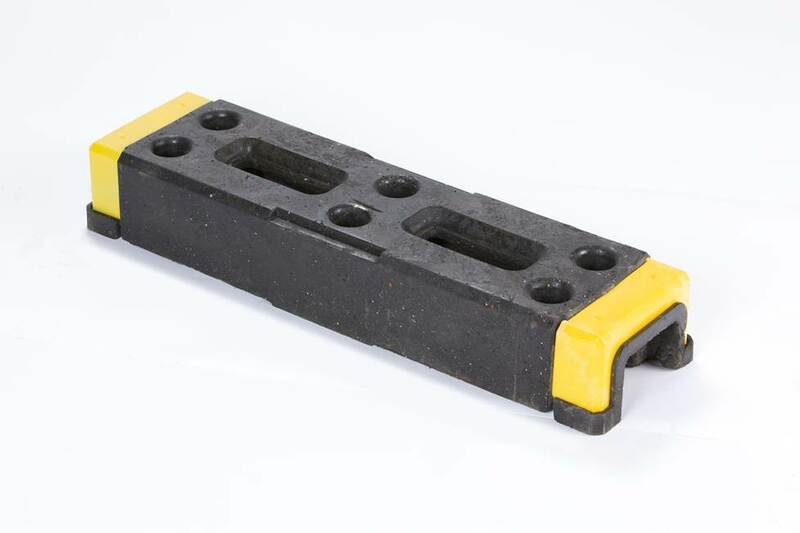 The OxBlock HiVis is the best alternative to a concrete block which can tend to split and crack when handled incorrectly. 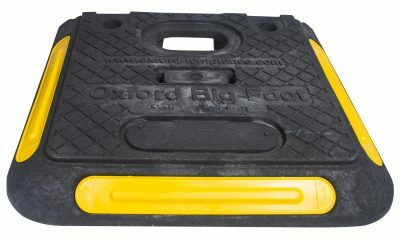 This hi-vis version of the OxBlock has a yellow end for added safety. 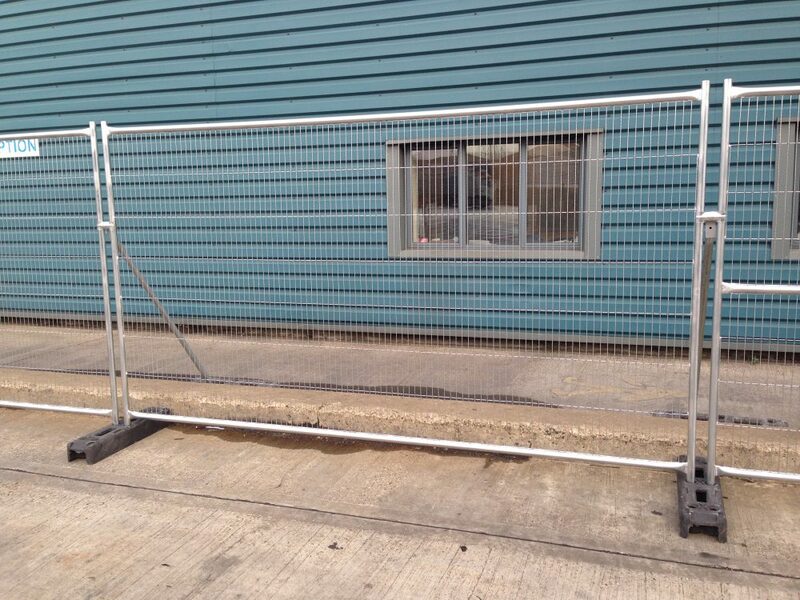 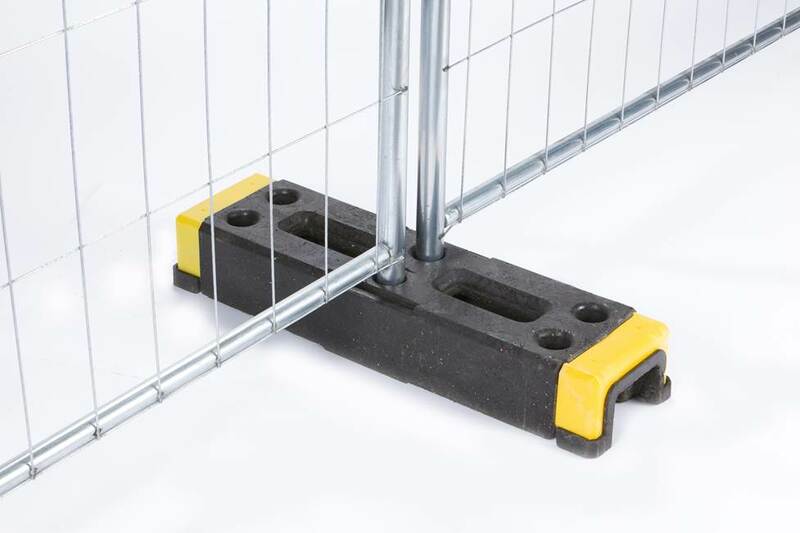 This heavy base forms a stable base for metal and plastic temporary fencing. 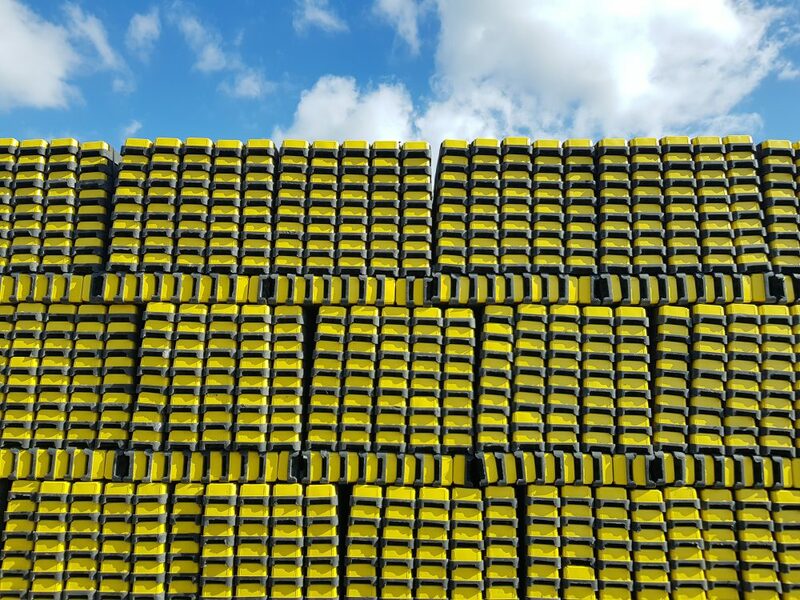 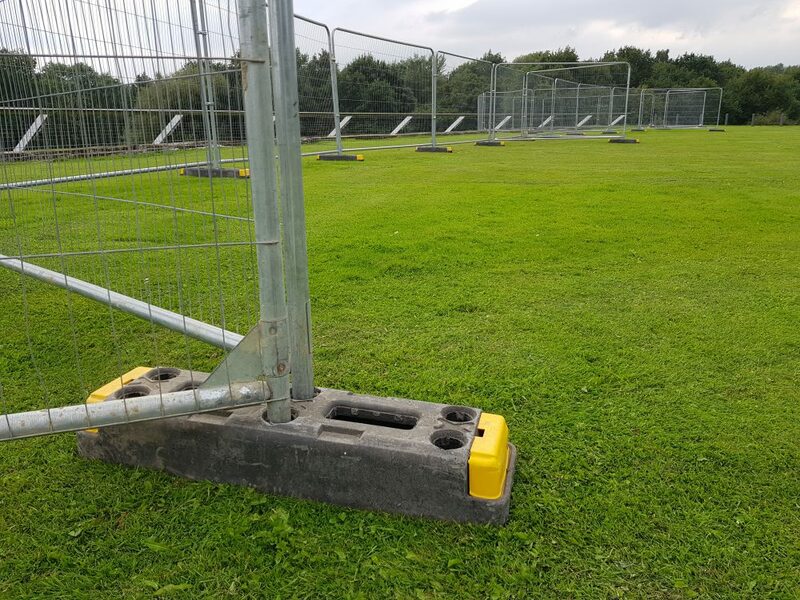 The OxBlock is the best alternative to concrete temporary fence blocks, it is made from a tough thermoplastic compound that is shock and crack resistant. 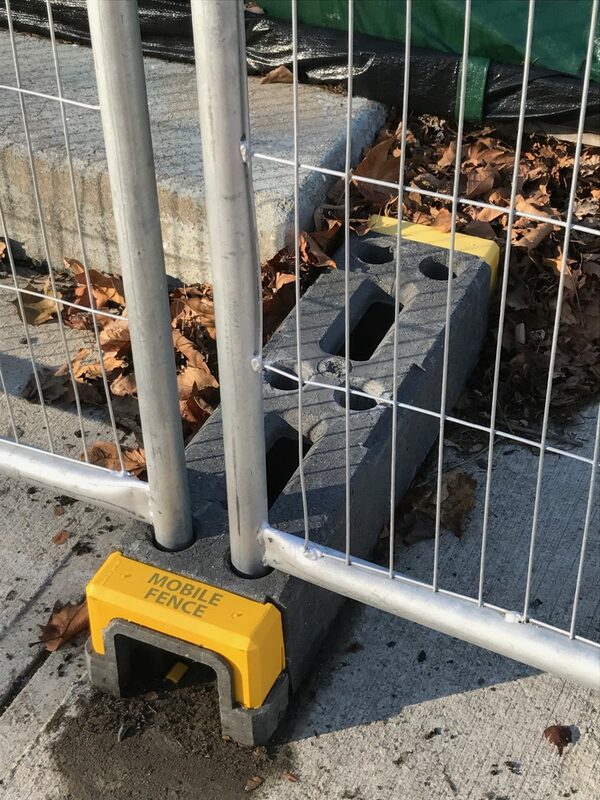 Our 4 Anti-Trip/High Leverage end holes are strategically placed so three is no trip hazard when setting a fence line in a highly trafficked pedestrian area. 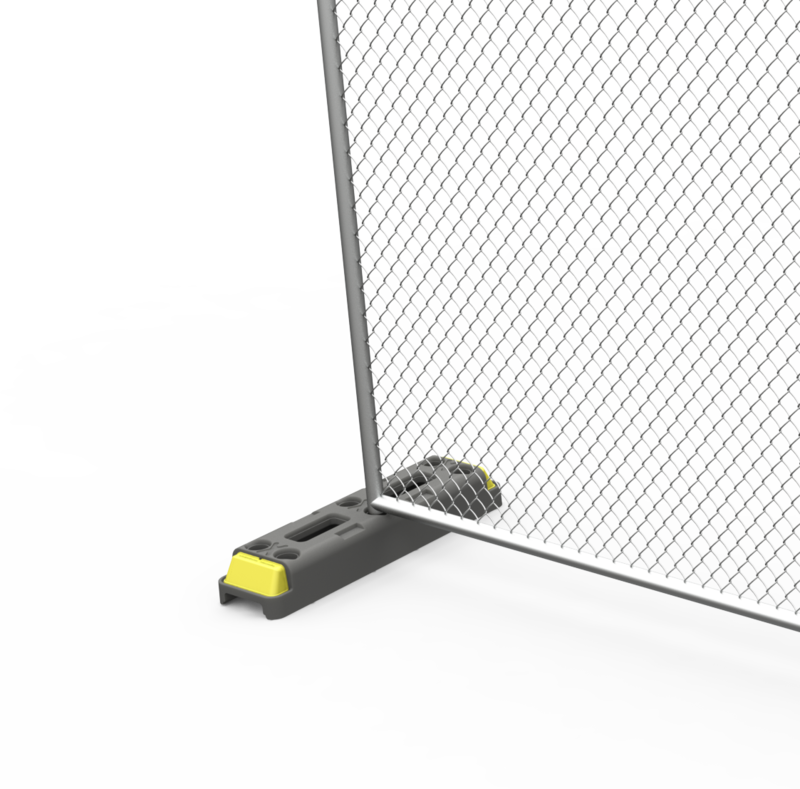 Furthermore when there is a greater than normal likelihood of a fence line falling over the OxBlock can be staggered on the inside and outside of a fence line to give it more leverage.